VideoLan Player, commonly known as VLC, has deserved its place under the media players’ sun with its amazing ability to read everything you throw at it no matter the format, and no matter the codec. 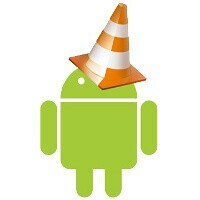 Now, the unofficial beta of VLC for Android is available and it comes with the same promise. Now, it’s been in the development stages for a while now, but this is the first time you can actually download it and use it on your Android device. Or you can wait until it gets officially released later this year. If that seems like an eternity, just like it seems to us, then you’d need to go to XDA Developers and follow their detailed instructions on how to get it running on your device. As to the app itself, it doesn’t have the killer design features you might be used to, but it’s functional and after all it’s a tool for playing videos, so expectations shouldn’t be sky high. Video playback depends on your hardware - the faster the processor, the smoother the playback. Now, there are three versions of the app depending on your smartphone: ARM11, Cortex-A8/NEON, and Cortex-A9. ARM11 is the oldest of the architectures and if you haven’t updated your smartphone in a while chances are you have it. It’s on Snapdragon S1 devices like the first-gen Windows Phone 7 devices. Cortex-A8 is a bit newer and notable members include phones with the Snapdragon S2/S3, Hummingbird and TI OMAP 3 chip. Cortex-A9 is everything newer - Tegra 2, Snapdragon S4 and OMAP 4. Now that's great news! VLC has always been my player of choice. Plays everything I throw at it. Now thats what am talking about go Andriod!!! Snapdragon S4 it isn't a Cortex A9 technology platform. It's more close and identified with Cortex A15, already that it has 3.3MIPS/MHz and A15 it has 3.5MIPS/MHz which makes the closest and it has other technologies close to A15. Cortex A9 has a processing power of 2.5MIPS/MHz. 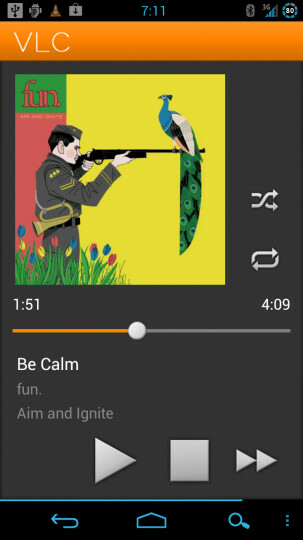 Ok. i'm all for VLC on android, and windows phone, and everything. I use VLC on all my computers. BUT... more then a year ago VLC was ported to IOS and then 1 guy who worked on it caused to to get pulled from the app store. If this goes to android will VLC then be making a return to IOS? I love VLC!!! Cant wait!! which version is applicable for galaxy s2 i9100 international version ???? To all Galaxy S2 owners..dont be confused. The Exynos chipsets in our phones are Cortex-9 so go for that version. Except for T-mobile's GS2 which has a Snapdragon. And the player is pretty cool btw!